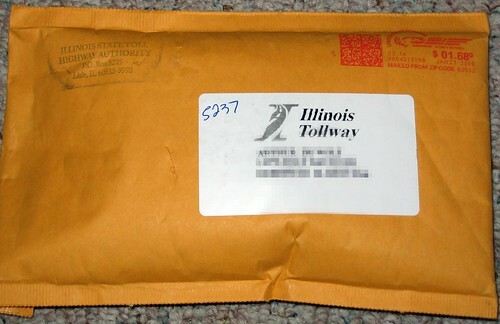 Yesterday I received in the mail our I-Pass transponder for the Illinois Tollway. 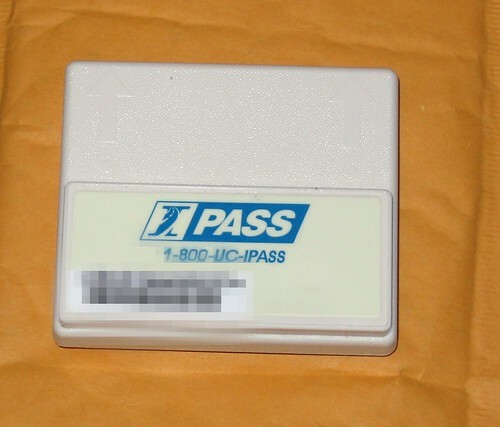 The I-Pass is a little electronic box that we’ll attach to the windshield of our car. It allows you to drive through toll booths on toll roads without stopping, and you only pay half of the normall toll. If normally you have to pay $0.80 when you pass a toll then with the I-Pass it’ll only take $0.40 off your pre-paid account. Pretty good deal, and the transponder is basically free. You pay a $10 deposit for the device and have to charge it with $40 to start off. What could possibly go wrong? The I-Pass was wrapped in aluminum foil inside the above brown envelope. It all looked a little weird. I figured the foil was to prevent my account from being charged in case the mailman drives the package through a toll booth, but still it was a little unprofessional-looking. There was a small flyer that said you have to activate the I-Pass before use, so last night I went to the I-Pass website to activate it. Unfortunately the website was down for maintenance. But wait, if you have to activate it why was it wrapped in foil? Oh, well. This morning I logged back on to the website and then it said that they were having technical difficulties, so I had to wait again. All that was included in the brown envelope was the transponder and the owner’s manual. So I called the I-Pass Customer Service to activate the thing over the phone. A woman answered and asked me for my ‘activation code’. Activation code? I told her that I didn’t receive an activation code. She said that the code is on a piece of paper in the box. A box? It came wrapped in foil in a brown envelope. There was only the transponder in foil and the owner’s manual. On closer inspection I found an area in the manual labeled ‘Activation Code’, but the area was not filled in. Obviously they had made a mistake. I told her that I went to the website and it asked me for an Account Number, but the sticker is missing from my transponder. Perhaps she could tell me my account number over the phone so that I could still activate it online? She had no idea what sticker I was talking about. She said that I couldn’t possibly have an account number yet because I don’t have an account! Then why on the website does it look like you’re supposed to get a sticker with your account number? Again, she asked me for my activation code several times, but I kept telling her that I didn’t get one. What am I supposed to do when I don’t get the activation code? She said that she couldn’t help me and was about to hang up. Wait a minute, isn’t this the I-Pass Customer Service? What else can I do but call the customer service? Again she told me that the activation code should have been in the ‘box’. But I didn’t get one!!! Then she said that I should come to their main office in Downers Grove to have them check out my transponder. That’s almost one hour from here, was there no other way? I guess you can also mail it back to us, she said. So now I have to go to the post office to mail the darn thing back. This entry was posted on Thursday, January 29th, 2009 at 2:38 pm CET and is filed under Illinois, Life in America	with tags . You can follow any responses to this entry through the RSS 2.0 feed. You can leave a response, or trackback from your own site. Hey, I’d just like to say thanks for this. 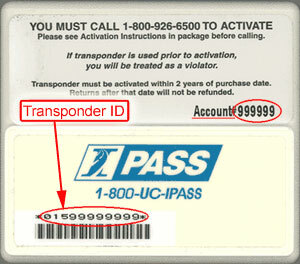 I recently purchased an IPass online and had no idea what was going on sans activation code, etc. 🙂 Now I do! Thanks again. I guess best course of action should be to complain about these authorities with callous attitude toward customer service. This is total harassment of the consumers. If anybody has problems, here is the info- call them and complain about those slackers!